« 123D Make…Makes me a Rocket! ShopBot Tools was excited to participate at ArchitectureBoston Expo (ABX) Nov. 19 -21 at the Boston Convention and Exhibition Center. 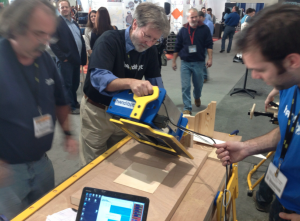 ABX is one of the largest events for the design and construction industry in the country, and the largest regional conference and tradeshow in New England — a perfect venue for us to introduce the Handibot Smart Power Tool to building design and construction professionals. 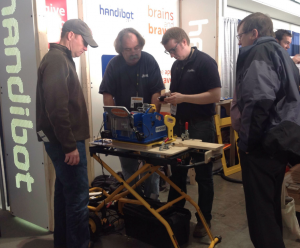 The Handibot team demonstrated the tool for builders, architects, interior designers, students as well as commercial and residential product and service providers. 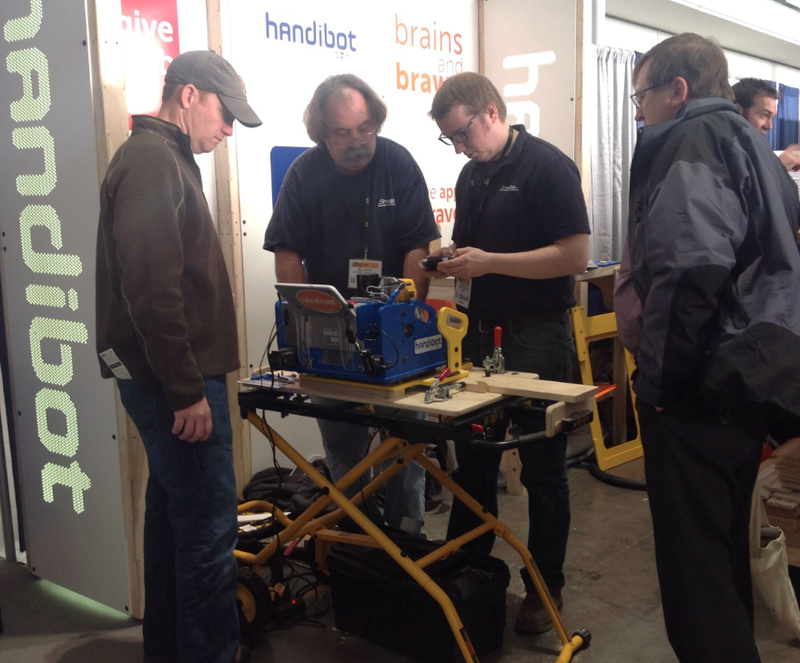 We ran two Handibot Smart Tools on the exhibition floor as part of the show’s Innovation Pavilion featuring products and services that are new to the design and building communities. There was a lot of discussion and idea exchanges during the three day event. Builders and architects added their perspective on what the Handibot Tool could do to improve fabrication and replication on the job site. 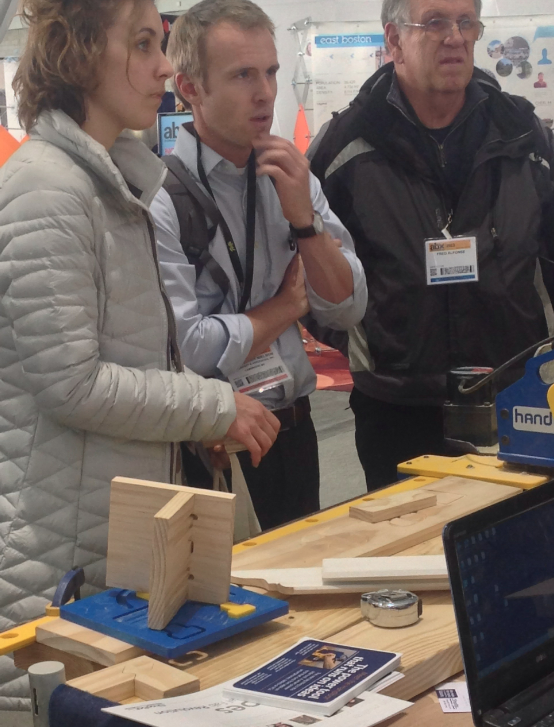 As one of the most active booths, it’s not surprising that there were impromptu brainstorming sessions about possible apps for the Handibot tool, and people jumping onto the PC to do some sketching and CAD drawing on the fly. We encouraged our visitors to sign up on Handibot.com and share their ideas for apps (and rate the ones that they find there). The number of app ideas is growing every day and we’re gearing up to start the app development process. If you haven’t shared your app ideas yet, jump in! Meanwhile we’re eager to put the Handibot Smart Tool in front of other new and relevant audiences over the next few months. Where would you like to see the Handibot Tool in action?